A high-quality modeling mic to reproduce the sound of expensive, classic microphones. Edge is an exquisite large-diaphragm microphone that allows users to reproduce the expressiveness and character of expensive classic microphones. When combined with one of Antelope’s Discrete interfaces, this mic can be made to sound like the Neumann U87, Telefunken ELA M 251, Royer R-122, or AKG C12 VR, among other models. While the Edge Mic Emulations work within any DAW on Windows and Mac, they are intended for use with the Edge large-diaphragm condenser modeling microphone. Its dual edge-terminated capsule architecture allows Antelope Audio to accurately model classic microphones in full 3D, with complete control over polar pattern, off-axis response, and proximity effect. Working inside the FPGA Accusonic 3D modeling engine, you can transform your audio signal to emulate many different microphones with complete control over proximity effect, off-axis response and polar patterns. This treatment can be applied either while recording or later in the mixing process. 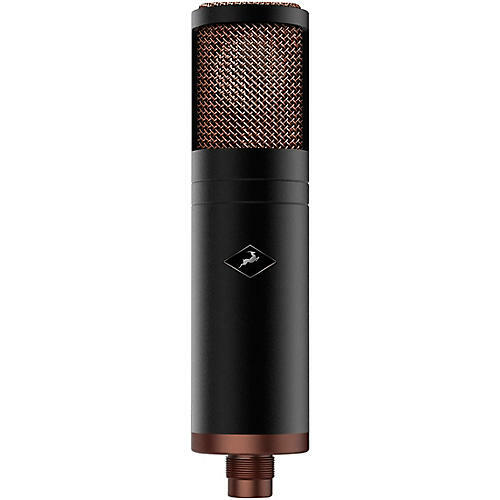 Additionally, as a standalone microphone, Edge is a smooth-sounding condenser that features a dual-capsule design with the electrical lead attached to the edge of the diaphragm. This design, found in many coveted vintage microphones, produces a flattering, natural response and smooth sound.